SummitNaturalGasofMaineAnnounces2016ExpansionPlans - Summit Utilities Inc.
YARMOUTH, Maine – Summit Natural Gas of Maine today announced more investment and expansion in Maine. The company plans to lay tens of thousands of feet of new distribution pipe in Yarmouth, Falmouth and Cumberland this spring and summer in addition to installing new service lines throughout Summit’s Kennebec Valley service area. In total, the 2016 construction plan is expected to bring access to natural gas to approximately 1,000 families and businesses throughout southern and central Maine. 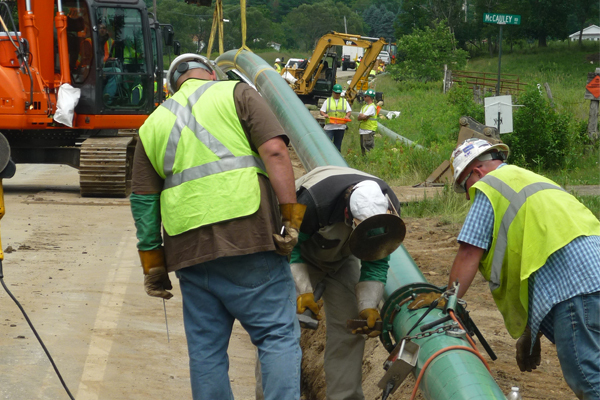 Summit has committed to invest $460 million in Maine to build natural gas infrastructure. Already, in the past three years, the company has invested more than $320 million to build more than 200 miles of distribution pipe throughout the state and provides natural gas to thousands of residents in addition to the majority of the schools, colleges, hospitals and municipal buildings throughout its service areas, including: Inland Hospital; Kennebec Valley Community College; Thomas College; Colby College; Madison Junior High; Madison Elementary; Lawrence High School; Cony High School; Halldale Elementary School; Gardiner Middle School and High School; Yarmouth High School; Harrison Middle School; Yarmouth Elementary; the Fairfield Community Center; Augusta City Center; Augusta Police Department: public libraries in Fairfield, Gardiner and Yarmouth; Augusta Public Works; Cumberland Fire Station; Gardiner Water District; and, Falmouth Fire Department. Construction is set to begin on Route 1 in Falmouth and Cumberland on May 2. Construction on service lines in the Kennebec Valley has already begun and will bring natural gas to many new residential and commercial customers throughout the areas where Summit has installed distribution networks. Construction schedules are based on customer demand and are subject to change based on weather and other variables. Summit will work throughout the spring and summer to keep communities and customers up to date on any changes in the construction schedule.